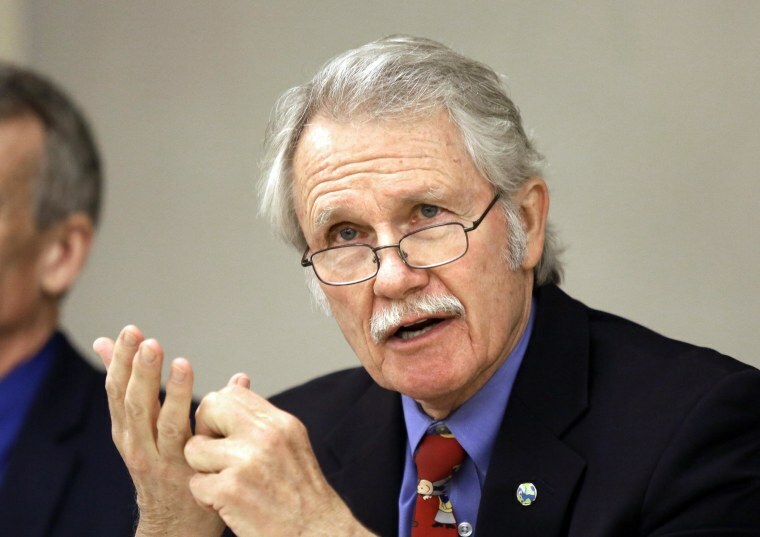 It's not in his job description as governor, but Oregon's John Kitzhaber may have saved someone's life on Monday. Kitzhaber, a former emergency room doctor, spotted an unconscious woman in downtown Portland around 5 p.m. and performed CPR until paramedics arrived, NBC affiliate KGW reported. He was on his way to dinner when he noticed the woman on the ground, and a person attempting to help her. He told his driver to pull over and ordered his security detail to call paramedics, then "jumped out of the vehicle" to rush to the woman's aid, chief spokeswoman Nkenge Harmon Johnson said in an email to The Oregonian. The woman — who wasn't identified — wasn't breathing and may have overdosed on drugs, KGW said. Kitzhaber gave her CPR until paramedics arrived minutes later and used a defibrillator that restarted her heart, Lt. Rich Chatman of the Portland Fire Bureau told The Oregonian. She was taken to the hospital and is expected to survive, the governor's office said. Alan Ferschweiler, one of the paramedics on the scene, told The Oregonian it was "pretty neat" seeing the governor in action. “He was surprisingly calm, and you could see he went right back to the days where he was an emergency room doctor. To go and assist the governor and take over this patient from him is pretty surprising. It definitely took us off-guard," he said. This isn't the first time Kitzhaber has used his medical knowledge in office. Four years ago, during a gubernatorial primary debate, he darted away from his podium to help a man who was suffering a seizure. And he's performed emergency aid numerous times at the state Capitol, according to The Oregonian. Kitzhaber declined to comment on Monday's incident. His communications director told KGW, "The Governor wishes her well and hopes that she seeks treatment in order to avoid the bad situation she was faced with today."